On Jan. 21st, James Rohr, Board Director at General Electric Company (NYSE:GE), acquired his first 10,000 shares of Common Stock for approximately $300,000. In two separate transactions, the insider paid $26.19 per share for the first 4,200 and $26.18 per share, for the remaining 5,800. Since he was elected in September 2013, the director just initiated the holding, and these 10,000 shares are all that he owns. General Electric Company (NYSE:GE) is the largest U.S. traded diversified industrials company, with a market capitalization of more than $260 billion. Opinion among analysts is quite divided in relation to this company. About half of them rate is as a buy case, and the other half, as a hold case. However, the balance is generally tilted towards a buy or overweight recommendation (Barrons/WSJ, Morningstar, Yahoo! Finance), mainly in account of its stability, scale, market position, below average valuation (at 18.6x P/E, versus an industry average of 21x) and dividend yield (usually above 3% of the stock price). After having escalated substantially over 2013, this year started with the stock in a steep decline. Since Jan. 1st, the stock is down about 8%, which opens an interesting entry point for investors. A few days ago, General Electric Company (NYSE:GE) reported fourth-quarter 2013 operating earnings of $5.4 billion, with earnings per share of $0.53, up 20% from the fourth quarter of 2012. Revenue of $40.38 billion beat analysts’ estimates by $160 million. Nonetheless, the stock price continued to drop, and now stands slightly above $25 per share, close to the 52-week range median. 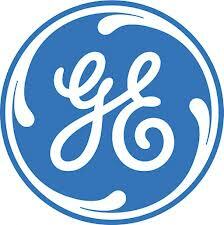 Despite this decline, it is not only analysts and Mr. Rohrr that like General Electric Company (NYSE:GE). Most of the top hedge fund bulls declared on their last 13F filings that they had increased their stakes in the company. For instance, Phill Gross and Robert Atchinson’s Adage Capital Management increased its holdings by 8%, and now owns 14.79 million shares, which comprise about 1% of its total equity portfolio. John A. Levin (Levin Capital Strategies) seems to feel even more bullish, since he last upped his bets by 320%, to 10.87 million shares –which account for 4.4% of the value of the fund’s total holdings. Other prominent investors worth mentioning are D. E. Shaw, fourth largest bull, who last declared having augmented his position by 10%, to 9.385 million shares, and Jim Simons (Renaissance Technologies) who started a position in the company during Q3, with 6.5 million shares. On the other hand, Ken Fisher’s Fisher Asset Management, the largest hedge fund bull, slightly decreased his stakes at General Electric Company (NYSE:GE) over the fourth quarter of 2013 (same as in the previous quarter). After getting rid of approximately 310,000 shares, Fisher’s fund still owns 29.7 million shares, about double in comparison with its closest follower.